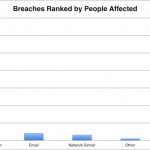 Email breaches ranked in first place with 473,114 people’s PHI affected. Network Server breaches ranked second with PHI of 352,895 people breached. 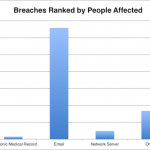 Other breaches came in third with 28,216 people having their PHI breached. 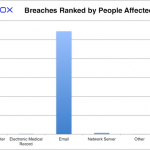 Electronic Medical Record ranked as the lowest number of people’s PHI being breached in March with 2,200 breaches. Laptop was the second lowest type of breach as ranked by people affected with 2,739. Paper/Films was the third lowest type of breach as ranked by people affected with 5,843. Email took the top spot as the most common breach type in March with an 12 reported breaches. Email has taken the top spot in this category for 11 of the past 13 months. Network Server came in second 7 breaches. Other and Paper/Films came in tied third with 3 reported breaches each in March. 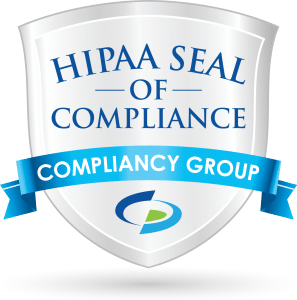 Email regained the top spot in both categories for this month’s HIPAA Breach report. 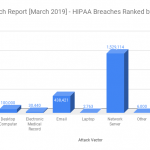 Much as it was in 2018, the data clearly shows Email remains the most vulnerable attack vector for HIPAA breaches. 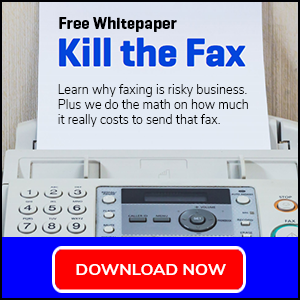 Click here to view the raw data (Google Sheets). 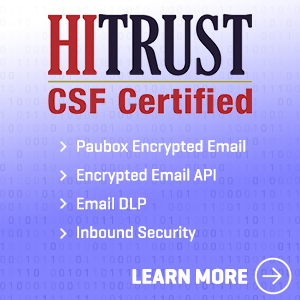 The Paubox HIPAA Breach Report analyzes breaches that affected 500 or more individuals as reported in the HHS Wall of Shame in March 2019. 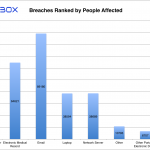 Minimize the risk of email getting you on the list with Paubox Encrypted Email.